If you’ve taken a trip to the veterinarian lately you must have realized medical care for pets is becoming as expensive as human medical care. With current economic conditions, the vet is one of the many places loving pet owners are looking to save. What people don’t realize is veterinary care can easily be a part of a healthy household budget and there are simple ways to save. Nutrition and maintaining a healthy lifestyle for your pet is where it all starts. According to the Association for Pet Obesity Prevention, 44 percent of all U.S. dogs and 57 percent of all U.S. cats were overweight or obese. That’s roughly 80 million dogs and cats at increased risk for diabetes, arthritis, high blood pressure, and various forms of cancer. Diseases equal a high cost to you and your pet. Avoid these high medical expenses by keeping your pets on a healthy diet or rewarding them with low-calorie treats. Avoid the unhealthy table foods like breads and meats. Yes, they work for dogs too: Nutritional support in addition to a healthy lifestyle is one of the most important elements of human and pet healthcare. Vitamins and omega-3 fatty acids helps to promote your pet’s immune system and keep them as healthy as they can be. Strong immune systems equal minimal infections. Save money and keep your pet healthy. 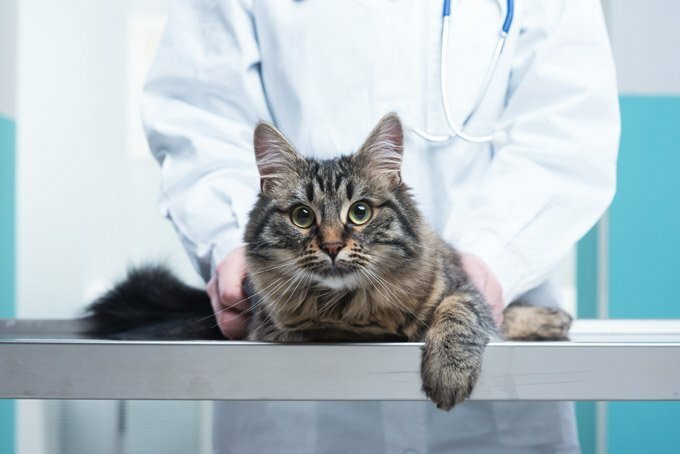 While at first this may seem like an unnecessary expenditure, a thorough physical examination by your vet can save you money in the long run. Early detection of diseases and conditions can save you thousands of dollars in medical bills in the end. Some of the most common reasons for vet visits include vomiting and diarrhea, due largely in part to poor diet and food. Poor-quality pet food can cause these messy and unpleasant conditions for you and your pet and unnecessary vet bills on your plate. Talk to your veterinarian about the best diet for your pet’s individual needs. 5. Three-year vaccinations: They work! In 2005, the USDA approved the first three-year distemper, parvovirus, and hepatitis vaccine for dogs, and in 2006 they approved it for cats. These specific vaccines are used to help reduce the risk of vaccine-associated adverse events and save you money. Pet insurance is primarily used for two reasons: the unexpected and the expensive. This proactive solution to avoiding your favorite pet’s unexpected medical conditions can end up saving you thousands of dollars in vet/surgical bills. There are many new major medical coverage plans with low annual premiums available that are cost effective.